To promote the new season of her hit OWN tv series 'Queen Sugar', Bianca Lawson hit the blue carpet at the 2018 PaleyFest Los Angeles in Hollywood, CA on Saturday(March 24th). 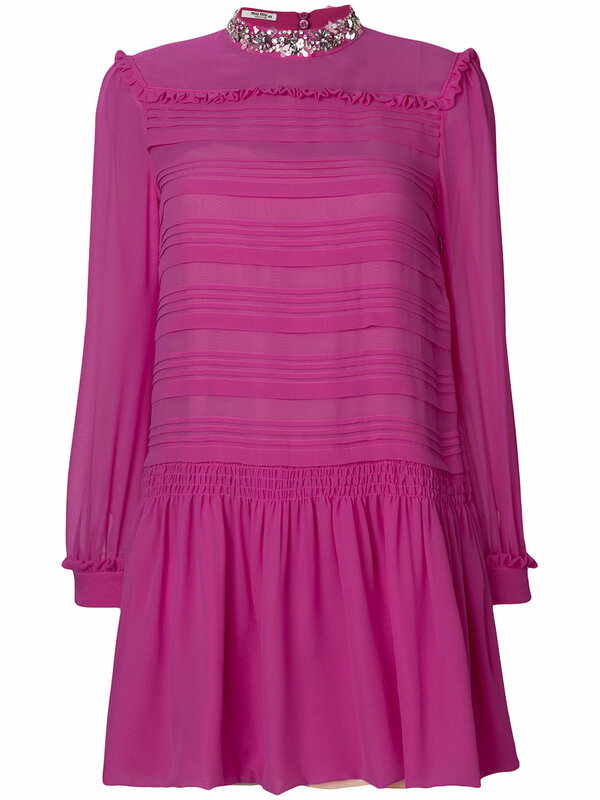 The actress could not be missed wearing a fuchsia MIU MIU long sleeve silk-chiffon, pleated layered dress with a silver crystal & paillettes neckline and a ruffle square yoke. She balanced out this playful, feminine number with black suede platform sandals which were worn with black opaque tights. Pink lip and center part tresses topped off her great look. 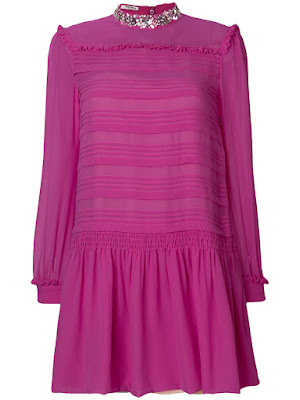 You can get Bianca's Miu Miu dress at FARFETCH & NET-A-PORTER.